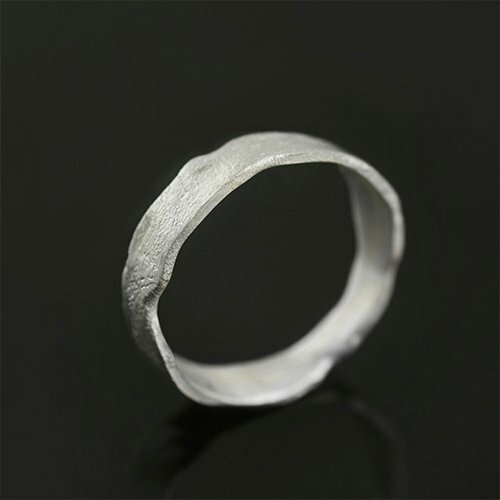 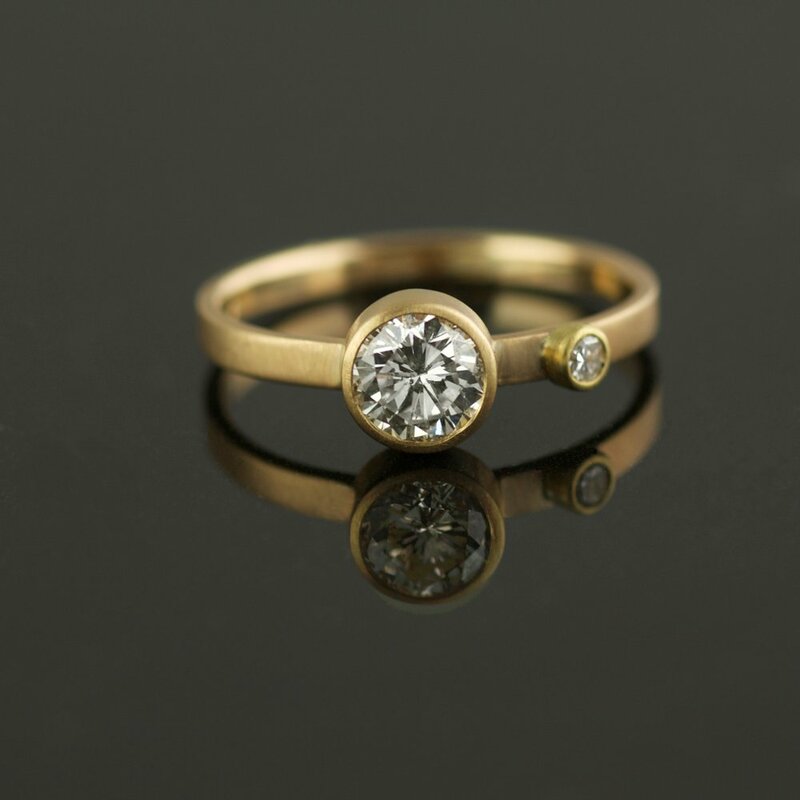 Each sliver melted ring is carefully handmade resulting in a highly unique and organic contour to each ring. 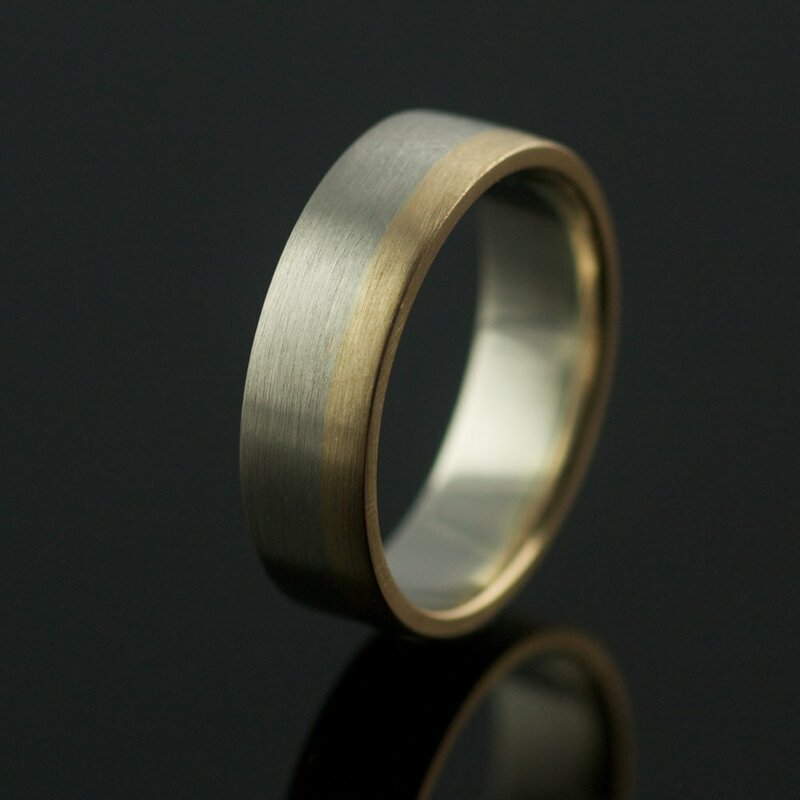 The piece is completed with a simple satin finish. 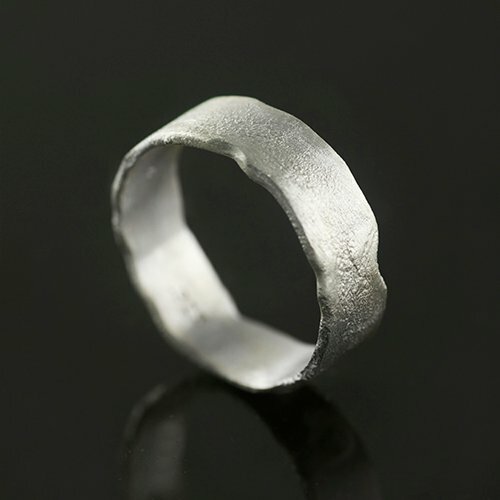 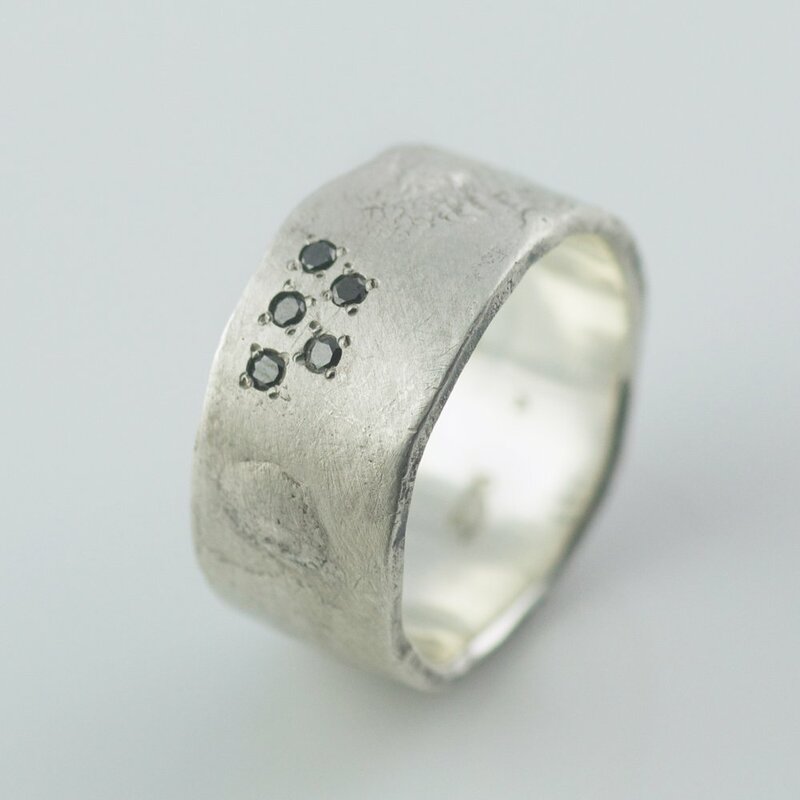 This ring is about 4mm in width overall.